The winners were chosen Sunday night. You can hear them perform in this piece from KERA’s Bill Zeeble. Of course the winners of the Cliburn International Junior Piano Competition would say it was worth it. But first place finisher Alim Beisembayev, who’s studied in England the past five years, almost didn’t apply. 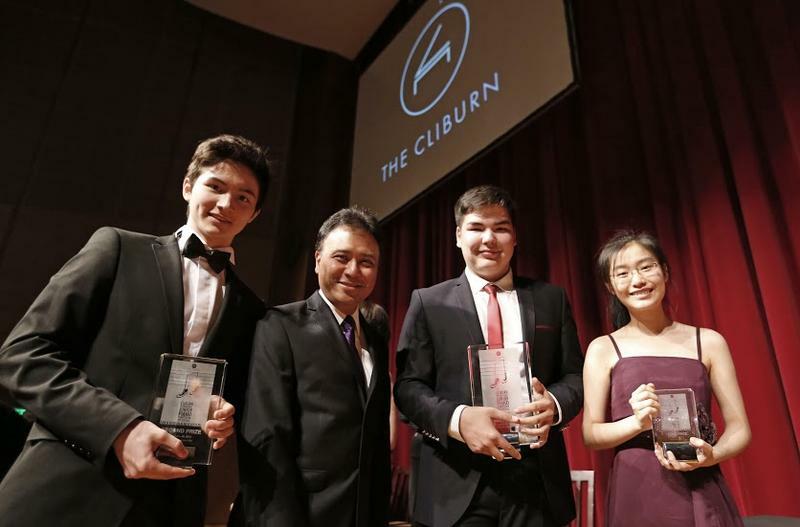 Cliburn Junior award winners Arsenii Mun, 16, of Russia, (second place), Alim Beisembayev, 17, of Kazakhstan, (first prize) and Youlan Ji, 16, of China, (third prize) pose with jury chairman Jon Nakamatsu after the first Cliburn International Junior Piano Competition and Festival, in Fort Worth, Texas, Sunday, June 28, 2015. Photo: The Cliburn/Rodger Mallison. The 17-year-old is from Kazahkstan. His first prize scored him $10,000. He played Tchaikovsky’s first Concerto, because Van Cliburn played it in Moscow when he won in 1958. Alim had never played this concerto in public before. Russian Arseni Mun had at least played the Grieg concerto before. The 16 year-old came in 2nd, winning $5,000. His secret to success? Third place Cliburn Jr. pianist Youlan Ji says this contest helped further her focus on piano. Ji played Chopin’s 2nd concerto. She hadn’t played it in public before either. As for firsts, Cliburn President Jacques Marquis says the Cliburn Jr. competition will be back in four years. He told the awards ceremony audience it presented great music and encouraged very young pianists. Often enough, they didn’t sound so “junior.” And despite being competitors, many became friends.